Molded Bakelite and neoprene body with machined brass polarized pins. 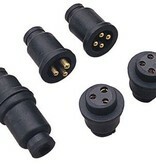 For safety, these electrical connectors feature pins that are sized differently ensuring only one way to connect the plug avoiding reverse polarity issues. 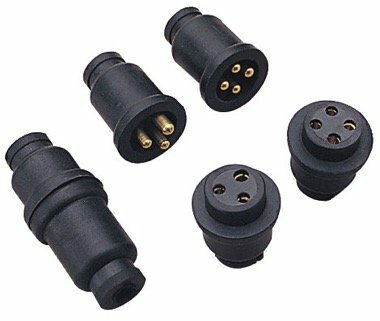 Rated from 3 to 5 amps. 12 or 24VDC.